Sister to this custom commission, the MOON & FLOWERS ketubah was inspired by the fantastical outdoor celebrations that serve as the backdrop to the classic love tales in Midsummer's Eve and The Great Gatsby. 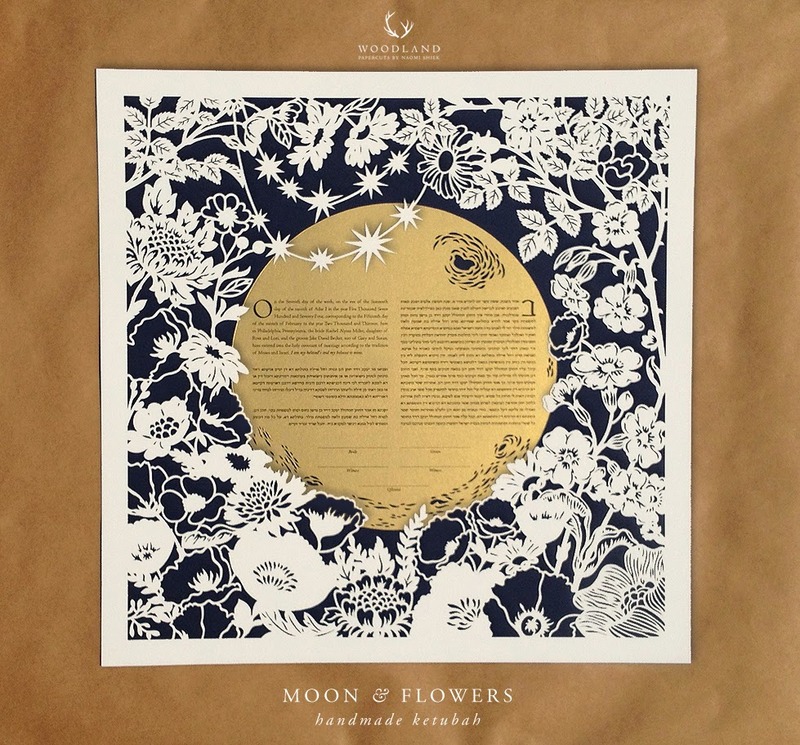 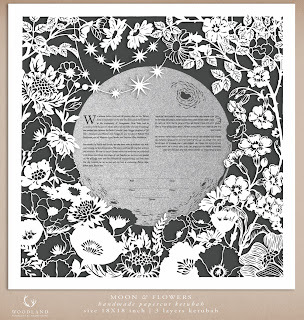 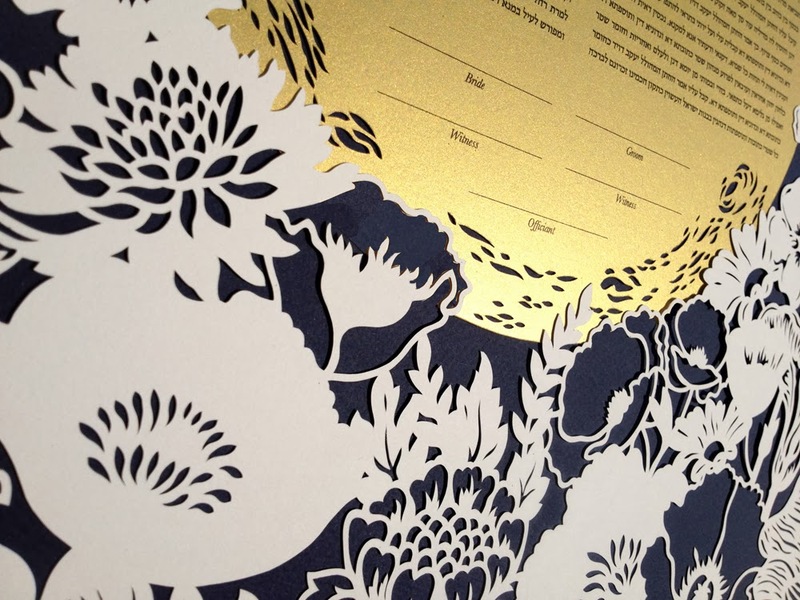 This ketubah is 18X18 inches big, and includes two papercut layers: the flowers and the moon. 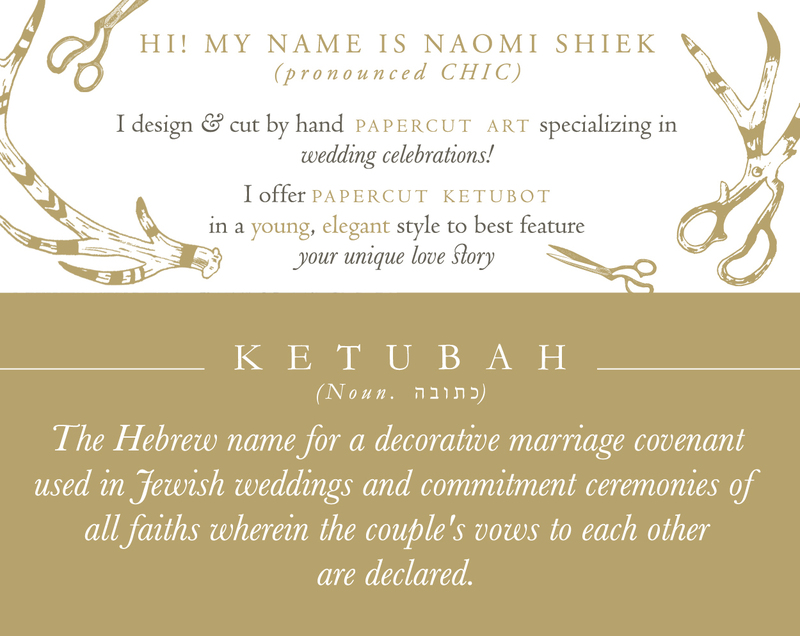 Two popular color choices for the ketubah are shimmer gold text layer & midnight blue background, and charcoal grey background & shimmer silver text layer. Of course, there are more options to be selected from the color chart. The original custom commission included a metallic silver background.